Some individual subantarctic fur seals have a characteristic pale coloured facial 'mask' which distinguishes them from all other fur seal species. 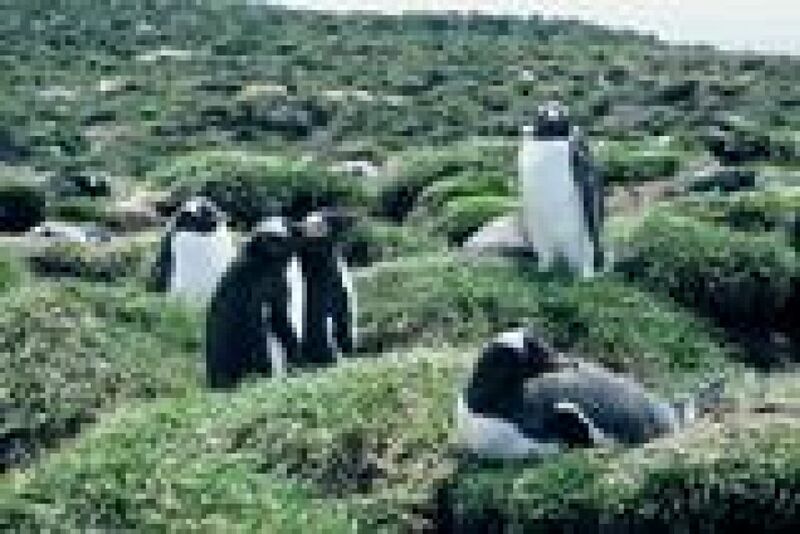 Numerous other vascular plant species and vegetation communities and species found on other subantarctic islands north of the Antarctic Polar Frontal Zone are missing from Heard Island, although it is possible that some may colonise the island if climate change produces more conducive conditions. 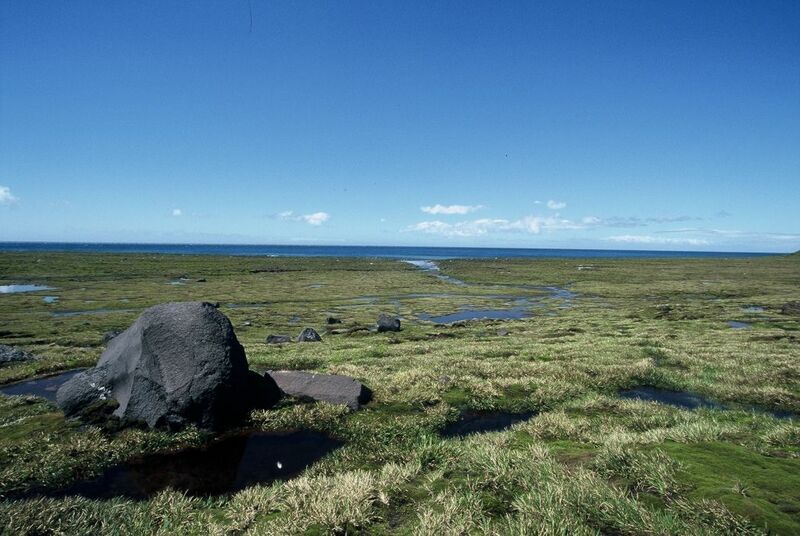 This is the most widespread and abundant vegetation community found on Heard Island. It is characterised by Azorella selago cushions interspersed with bryophytes, small vascular species and bare ground (20–75% cover). It is mostly found at altitudes of 30-70 metres above sea level. Species richness is high in this community, which consists of bryophytes and small Azorella selago cushions and is found at medium to high altitudes (30–150 metres above sea level) in areas with intermediate exposure. 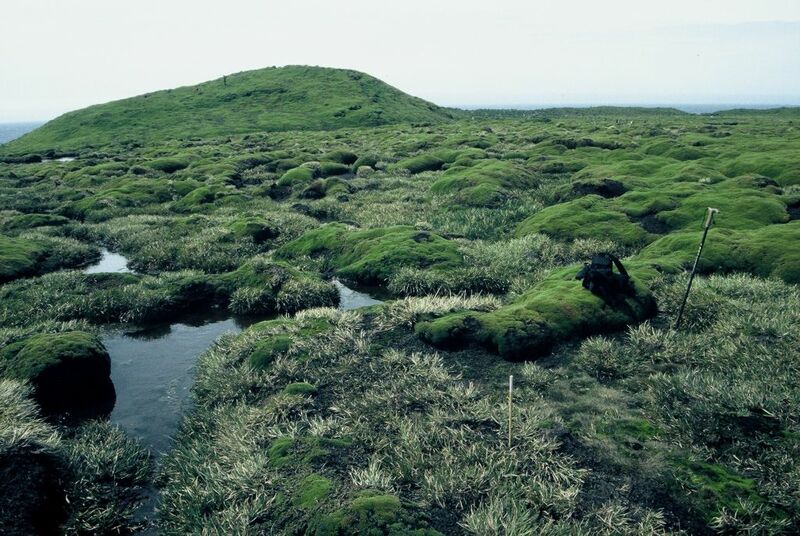 Wet mixed herbfield vegetation occurs on moist substrate, mostly on moraines and moist lee slopes (often in association with burrowing petrels colonies) at low altitude (<40 metres above sea level) where the water table is at or close to the surface. 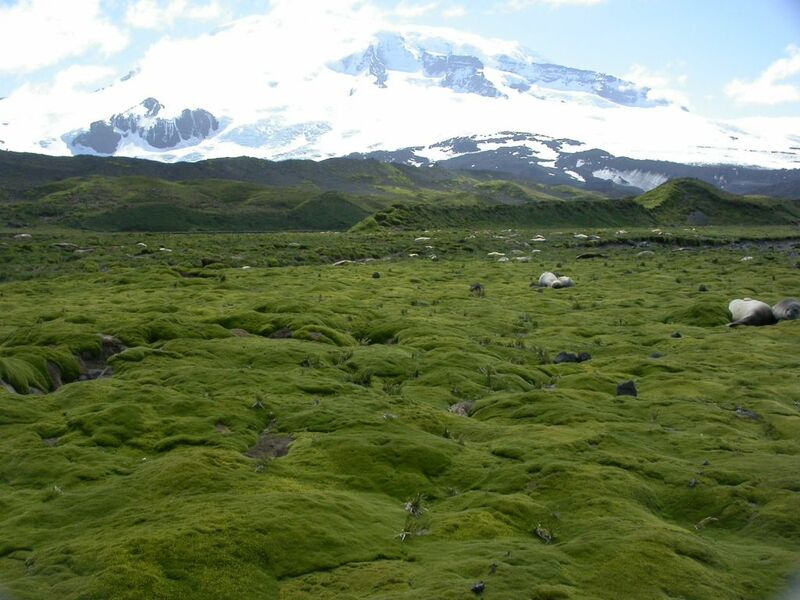 Species richness is the highest of all the communities, with dominant species being Poa cookii, Azorella selago, Pringlea antiscorbutica, Acaena magellanica, and Deschampsia antarctica. Coastal biotic vegetation is dominated by Poa cookii and Azorella selago, and occurs mainly on coastal sites of moderate exposure and in areas subject to significant influence from seals and seabirds. 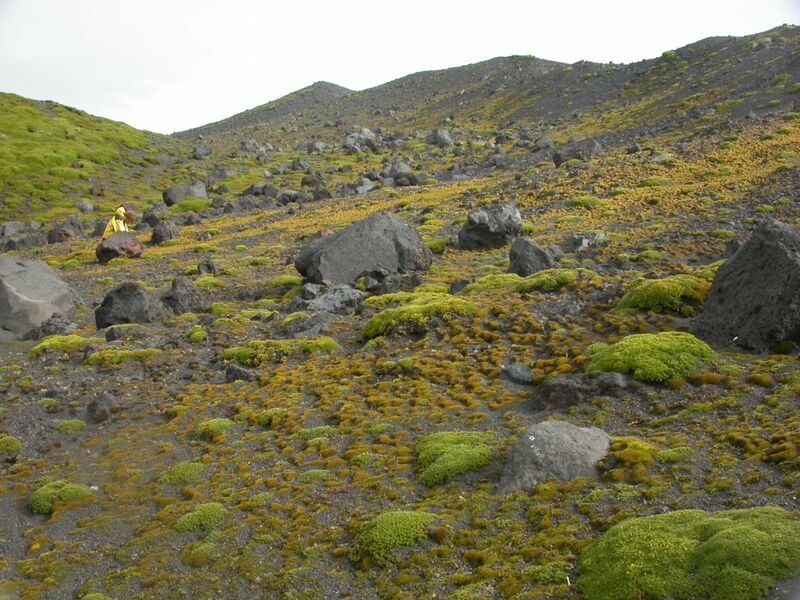 This vegetation community is dominated by the salt-tolerant moss Muelleriella crassifolia and is limited in extent, being found at low elevations (less than 5 metres above sea level) on lavas in exposed coastal sites. 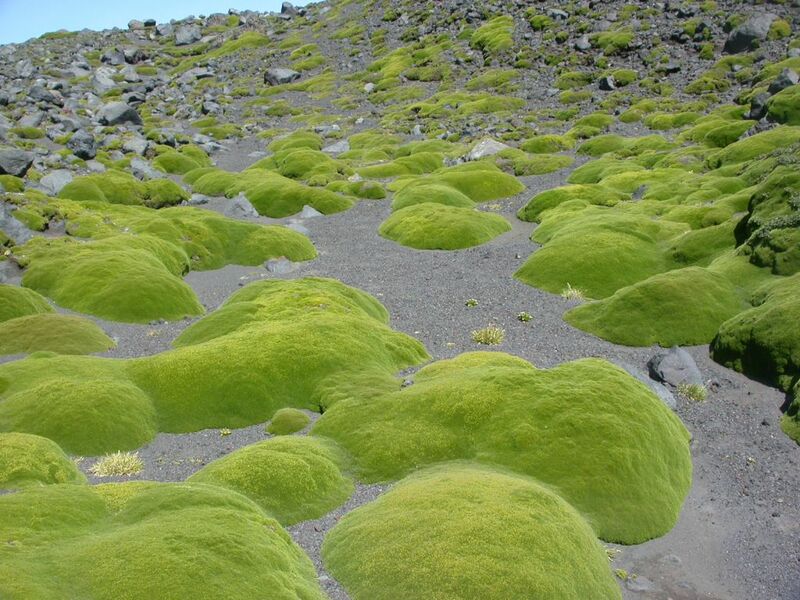 Closed cushion carpet vegetation is found on moraines and sand at altitudes mostly below 60 metres above sea level. It can be subject to some burrowing by seabirds, and is dominated almost entirely by Azorella selago cushions, which often grow together to form continuous carpets.